mechanical micro grinding machines capable of performing the complete process of material grinding, separation and making of the finished product within the same tightly integrated system. It was specialized in processing light and big volume material into ultrafine powder. 1. Built-in Double separation mechanism-preventing over-grinding Gear-Hammer ultrafine grinding, which would make powder accumuration revivificate into nano-particle size again. 2. 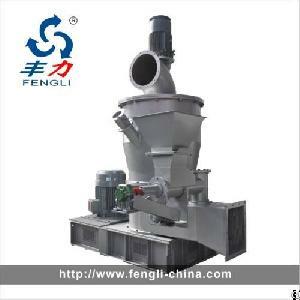 Able to produce uniform granules of required sizes by adjusting the speed of the stage-separation wheel(s) or by adjusting the strength of the blower(s). 3. Powerful blowing and strong self-cooling capability, suitable for grinding heat-sensitive materials. 4. Different grinding accessories/devices are used according to the hardness of the material being ground, different types of materials (alloyed carbon steel, stainless steel, ceramics etc) are available for the machine�s inner linings and product extracting system, meeting the needs of different industries. 5. Both manual and programmable auto-controlled machines available. 1. Our design idea is market-oriented and its goal is to increase customers� satisfaction. Design according to the customers� special requires. Achieve the perfect combination of rational investment and lower cost.